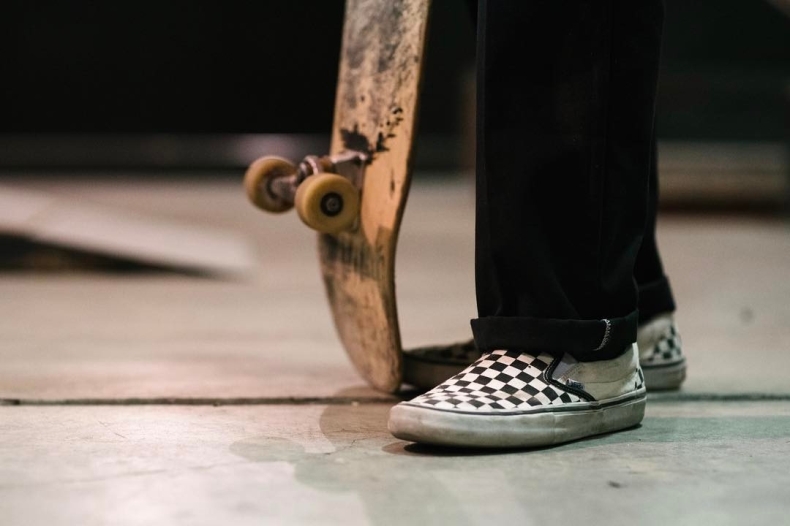 First introduced in 1977, the Checkerboard Classic Slip-On was influenced by the skaters of that time who were spotted colouring in the midsole of their shoe to create a checkerboard look. Taking this one step further, Vans placed this stand-out print on their canvas upper for extra statement style. It soon grabbed the attention of movie star, Sean Penn who chose to wear the silhouette in the classic 80’s film, Fast Times at Ridgemont High. Taking the world by storm, this Checkerboard Slip-On became an icon overnight with requests for the shoe of the moment skyrocketing. Featuring prominently in the preview as well as on the cover of the movie soundtrack, this film truly immortalised the shoe forever and cemented it in the world of pop-culture. 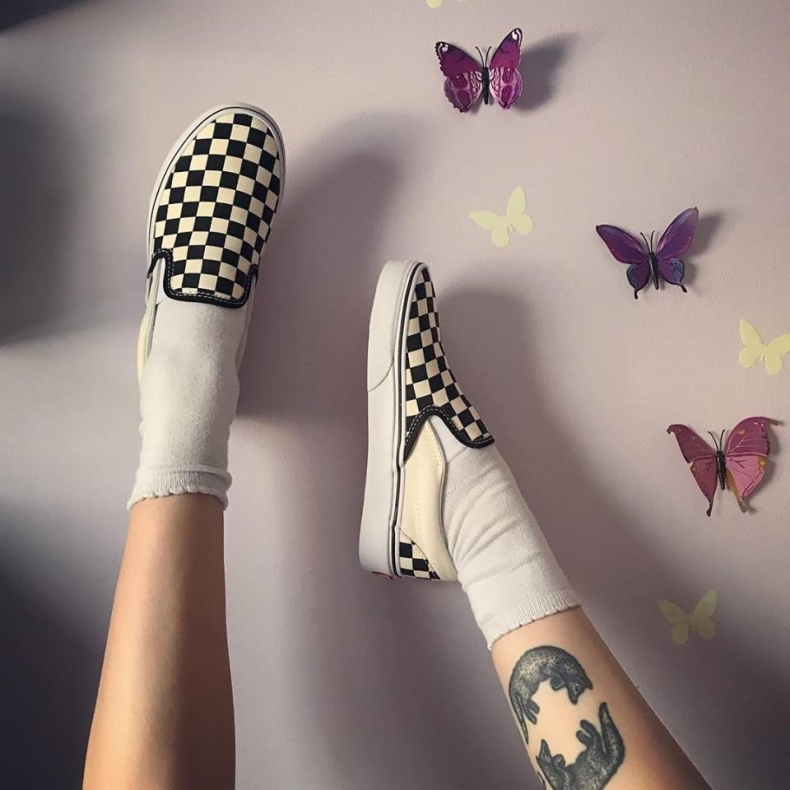 This Checkerboard pattern has come to symbolise many things for different people; a rebellious design inspired by the doodles of 70’s youth, a representation of the Californian surfer dude attitude and of course a skate-culture staple. Arriving during a politically charged era of change, this pattern also came to symbolise the breaking down of racial barriers as a favoured shoe of this progressive subculture. Now a breakaway trend of the new season, checkerboard prints have been seen on both women’s and men’s catwalks for 2017 from big names like Louis Vuitton and Givenchy. 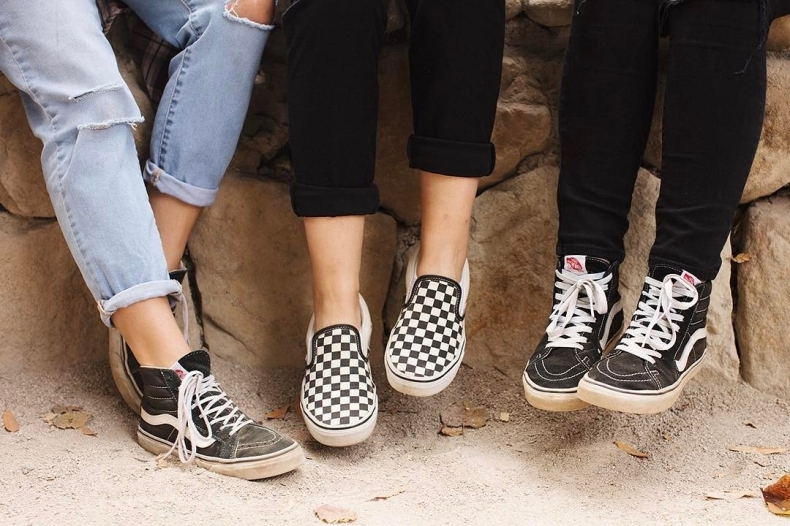 With current trends moving through more rough and ready trends like band tees, 90’s grunge and all-denim-everything, we predict the Checkerboard Slip-On to be the next big thing for the coming season. Its vast heritage, rebellious roots and visual appeal make this shoe a true timeless icon, so grab yours now and get ahead of the trend.